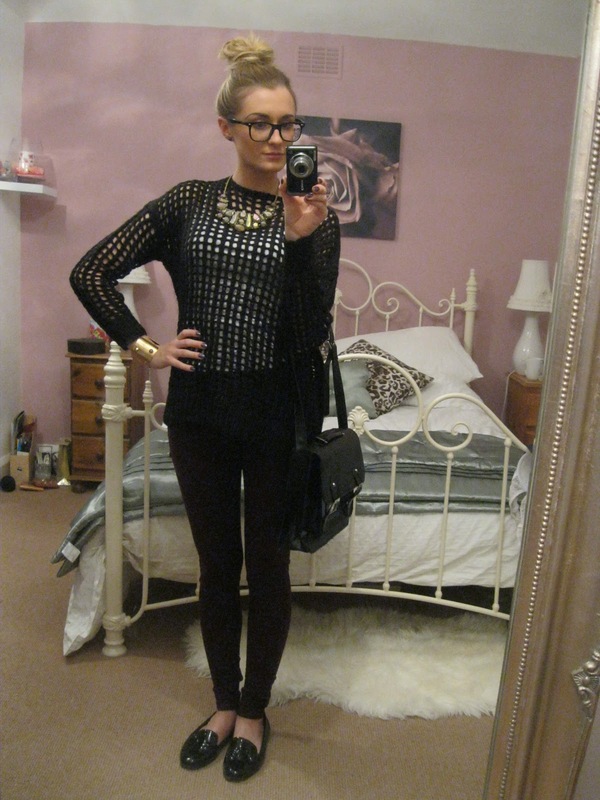 I bought this jumper from Asos by River Island last week when I saw it had gone down in price. I have been looking for a style like this for a while so that I can wear different coloured vest tops underneath to show through. 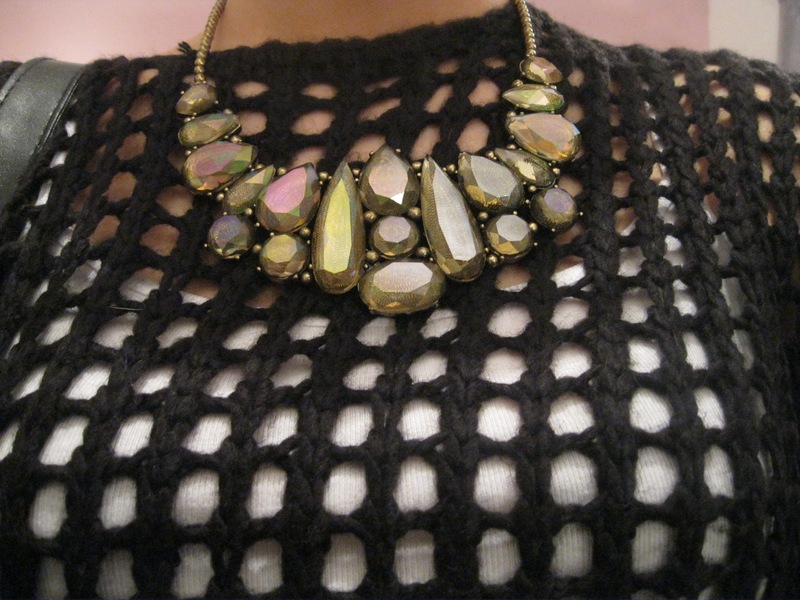 Statement necklaces are still my very favourite way to glam up an outfit. I have an ever-growing collection of embellished collars and this beaut, jewelled number was a steal from Primark; always worth a look in for cheap jewellery. My arm candy is a spiked cuff from H and M **Alternative here** which I am wearing in place of my beloved Michael Kors watch. Although the lighting isn't great (my work hours don't permit daylight photographs!) my jeans are oxblood, still the 'in' colour for AW12, from the Topshop super soft/super skinny range which I love. My satchel is from Amazon and the jacket in the last picture is my Zara contrast leather/fabric biker. I love-love-love your outfit and I have to say that your room is super cute and girly :D.
Great post and inspirational post! LOVE the jumper and that gold cuff! !